wip wednesday – Can I tell you…? 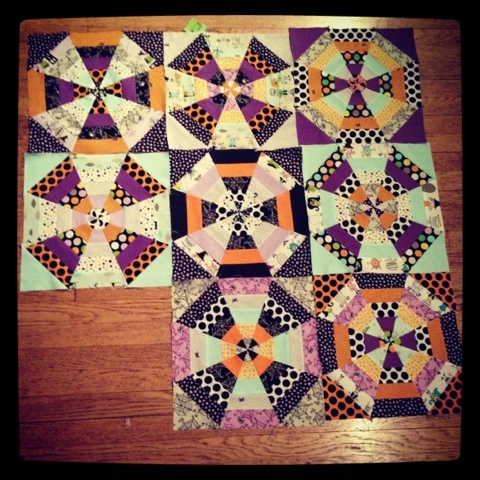 that I am more than a little bit excited about making this quilt. I am totally bananas about it, in fact. Not that I have any intention of abandoning my other Halloween quilt, but with the momentum on this one (due to my aforementioned excitement), I think this one will actually be finished in time for Halloween.